HJ: Follow your excitement and inspiration and you will always be supported by the universe. There is no other rule. I was not sure what the American Dream was, but I did what everyone around me seemed to be doing. Working hard. I did well in school, helped my mother at home and my father at his place of business. The world looked incredible to me growing up, and I was so passionate about waking up every day and exploring. I wondered why my parents and the other adults around me didn’t seem to be passionately alive. Didn’t everyone see what an incredible world this was? There was a glimpse of this passion they once had in the boxes of photographs in our living room closet. I would look through them on Saturday afternoons while babysitting my siblings so my parents could take a nap and rest their weary, hard working bodies. In the photos, they were young and full of raw passion. My favorites were of my mother at around twenty years old, dressed up in a leopard velvet fitted suit, working at Oleg Cassini, a NYC fashion company. Smiling. My Dad’s photos were of him as a young twenty year old in full military uniform on a US Navy ship, somewhere far away, looking over the side rail in contemplative thought. Thinking. His favorite thing to do, an intellectual. Looking far off into the distance. Tall, slim, and handsome. Mom resigned herself to working hard at home with lots of kids to raise on a dead end street in the suburbs, which she hated. Dad worked a series of jobs in the business world that he was completely unsuited for. Mom let us all know how miserable she was by her lethargy, and Dad’s anger and rage let us know just how discontent he was. I know they were doing their best to keep it all together. Yet passion was nowhere to be found. What did I do? I followed in their footsteps. I got engaged at eighteen and stayed in the suburbs, which bored me to tears. I worked a well-paying job in finance that I was ill suited for. I was living the American Dream they told me about, only it was more like the American Nightmare. I found myself crying on the way to work every day, with no joy to share with my child. I found myself longing to leave my marriage, which I’d entered to please my parents, and get to know myself and what would make me happy. No one had ever asked me what I was passionate about, and I’d never thought of asking myself. The realization of what former British Prime Minister Benjamin Disraeli said hit me. A great man or woman acts on their passion. I realized my greatness was in the one place no one told me about. In acting from my passion. For me that was writing. When I write I feel great. I feel passionate and alive. Just like a kid again. So that’s what I did. I moved to the city and studied writing as if my life depended on it, because it did. You may have some troublesome thoughts about the conflict of working hard vs. acting from passion. I know I did. If you’re not doing hard work, you may feel lazy or guilty. Or like it’s too good to be true. Following your passion seems like it’s easy, yet it can be hard work too. But it’s the kind of hard that’s fueled by pleasure and passion. Or maybe you want cold hard cash. You want stuff. You want to support yourself and your loved ones. So you take the work that you can get, or that makes the most money, or do what someone else wants you to do. Yet, what happens if you act from passion first? Get happy first? Before you decide on a career or take a job or get into a relationship. Or move to a city or countryside. What happens is that everything flows more easily from this place. Sure, you could work hard, just put passion first. How do you begin acting from your passions? Put passion first, even if it’s only in your thoughts at first. When you want to discover and act from your passion, you may have thoughts that challenge this new way of letting go of “hard” and gliding into joy and passion. 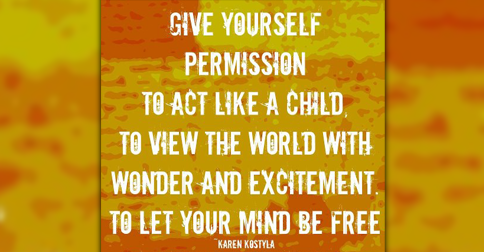 So develop a mantra for yourself that you repeat, about giving yourself permission to put passion first. Hide from those that bring you down. Steer clear of the “hard work and little passion and play” people. Seek out those that understand how acting from passion first enhances your life and the life of everyone around you. Accept how hard your work and life really are and must be for now. Know that sometimes life is hard. And work is hard. World and life events and tragedies bring us down out of happiness and passion. Know that this is necessary so you can see the contrast of living from passion first to living from the work hard place. Remember, when you have passion about something you are more willing to take risks. Everyone can decide to work hard, but passion means something different to each person. Follow yours. You can have one leader that leads with hard work and another that leads with passion. Which one do you want to follow? If you have no idea, remember what you loved doing as a kid. What were your favorite toys and games? What activities do you partake in that, when you do them, you lose all sense of time? What do you really want to do but are afraid to say out loud? Close your eyes while contemplating this question. Feel the answers in your heart instead of thinking them with your head. Passion is not always strong and powerful. It can be calm and deep. Don’t worry about motivation. Once you feel the passion for something, the motivation comes with little effort. Queen Victoria invited Disraeli to become British Prime Minister, and they soon struck up a remarkable rapport thanks to Disraeli’s charm and skillful flattery. Find your own greasy pole, the one you are more than willing to climb, using passion as your inspiration and motivation. For whenever something great was accomplished in the world, it was done with passion. What are you doing to find yours?